There are times when products and goods come with a fairly high sticker price and you’re a bit put off…at first. Then you actually use the said item and you realize: it’s worth it. This is the truth for many luxury vehicles. People see the vehicle, fall in love with it, and ask about the cost. They then discover that the price is higher than they thought it was and they start to shy away from it…until they drive it, that is. They then find that this is the one vehicle that they wouldn’t mind spending the money on. Experiencing the Porsche Boxster Spyder is exactly like this type of situation. This vehicle is Porsche’s entry-level roadster, a sort of cross between a roadster and a hot rod. While the price point may deter some buyers, the discerning will see that the quality, luxury, and performance is well worth it. 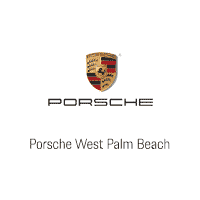 Porsche has been one of the most sought-after high-end luxury vehicles in the world. The company is known for creating small, luxury vehicles that look amazing and offer very distinctive aesthetic. They very name “Porsche” is enough to make goosebumps appear on the skin of any car lover. Even the “entry-level” Boxster is far from basic. When it comes to details, Porsche knows what they’re doing. 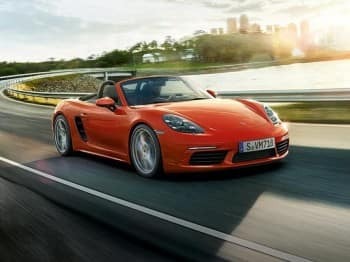 The Porsche Boxster Spyder has a 3.8 liter 6 flat engine that pumps out 375 horsepower and an amazing 309 feet of torque. This allows it the roadster hit 60 mph in only 4.3 seconds! Can you imagine how fast this car would be able to go on the Autobahn? Of course, not all of us have the chance to bring our luxury vehicles to Germany, so the wide open road near our own cities will simply have to do. We’re pretty sure that most Porsche owners have no problem “suffering” by driving only on the roads nearest to them. The roof of the Spyder is actually 24 pounds lighter than the traditional canvas, so keep in mind that there’s not much insulation there (sorry car owners in the cold climates!). But because of this reduction in weight, the roof is much faster to retract than the previous version of this vehicle. The previous Spyder took 15 seconds to get the vehicle’s roof down, while the roof for this Spyder can be retracted in only 6 seconds, allowing you to get on the road that much faster. The steering wheel setup on the Spyder has been borrowed from a few other cars on the Porsche lineup. The rotors and the calipers came from the 911 Carrera S while the steering is inspired by the 911 Turbo. The 20-inch wheels are exclusive to the Spyder, and the 10.5-inch rears are considered to be the widest that have, at this point, ever been installed on a Boxster. But what’s it like to drive? This is the question that everyone has before they start looking for Porsche Boxster lease specials. No matter how gorgeous it is, a vehicle is no fun to own unless it drives beautifully. Not to worry: the Boxster Spyder drives as smoothly as it looks. After all, it is a Porsche so expecting anything else would, quite honestly, be silly. The Boxster Spyder was built for sprinting. Before you know it, you’ll find that you’ve traveled 100 miles and that the time flew by, making this a fantastic car to drive if you plan on making long trips. What’s interesting is that even though a number of the features came from different vehicles in the Porsche line up, the Boxster doesn’t feel like it’s cobbled together. The engineers were able to create a completely unique and flawless vehicle while taking the best from some of the other cars – and they accomplished their mission perfectly. The gearbox is tight and crisp, and the car fairly sticks to the ground no matter how many curves and hills you happen to take. Before you go looking for Porsche Boxster lease specials it’s imperative to figure out if this luxury vehicle is for you. There are a wide array of different luxury vehicles out there, some are designed for long travels, others are designed for comfort and some are designed simply to go fast and look great. The Porsche Boxster isn’t a vehicle that we would necessarily say is ideal for cross-country travel, simply because it’s smaller size means that it’s difficult to bring a lot of luggage along with you, but it is the perfect vehicle to have for zipping around your local area or going for short trips. The cost of the Porsche Boxster Spyder may seem a bit high at first until you compare it to the cost of other luxury vehicles. Once you compare the numbers against other vehicles that are in the same category of the Spyder you’ll find that the cost is actually fairly modest. Is the Boxster Spyder the type of vehicle that you can see owning? Test drive one, and you will find your answer.